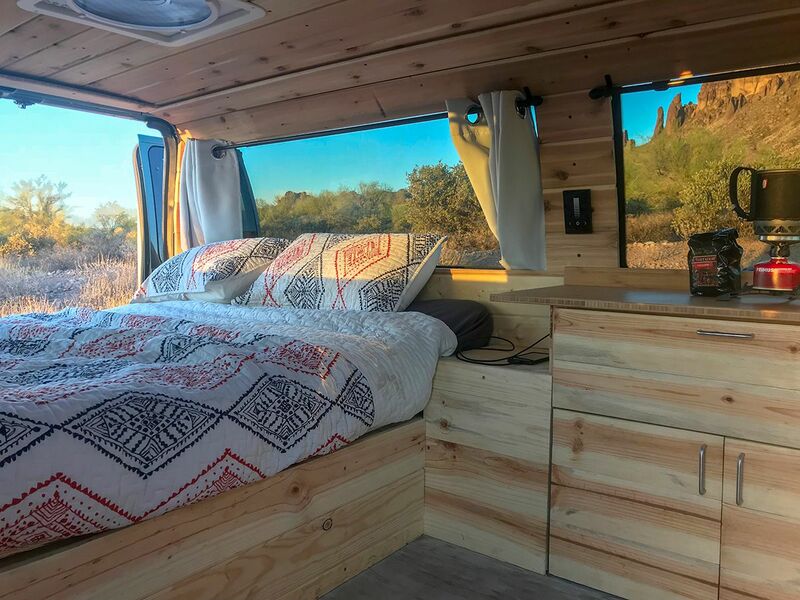 Phoenix-based Boho Camper Vans sells converted campers for a total price of $35,000—van and conversion included. 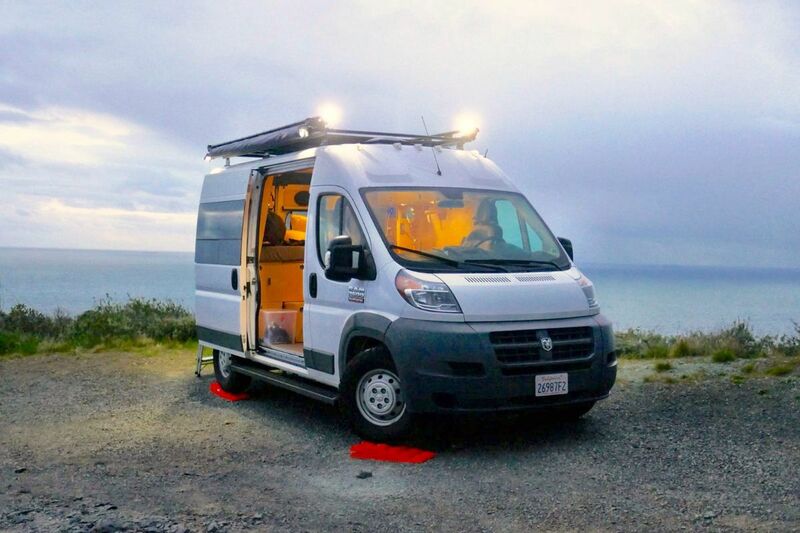 If Instagram has anything to say about it, #VanLife isn’t going anywhere any time soon. And that’s fine by us, especially because we can’t get enough of all things camper-related. Love campers and trailers? Come join our community group. 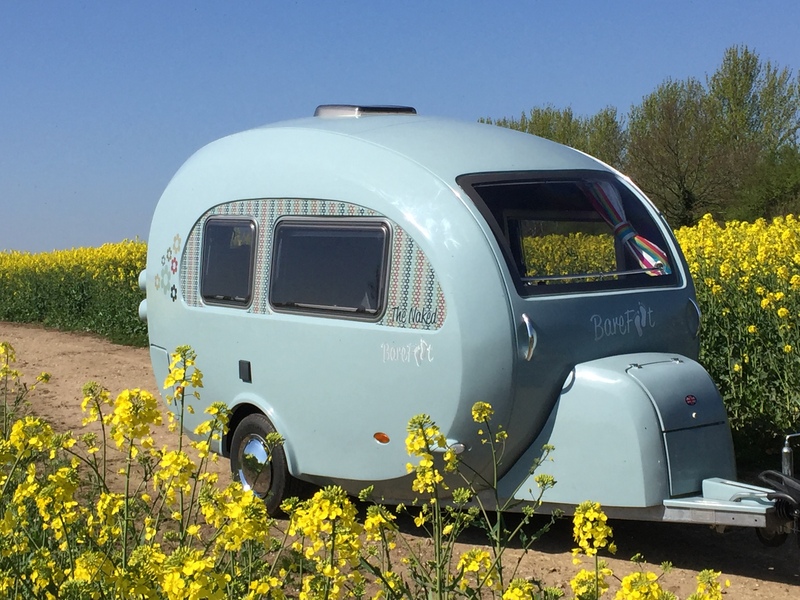 However, if camper vans have any drawbacks compared to teardrop trailers, vintage campers, or your run-of-the-mill travel trailers, it’s the fact that they can be expensive. 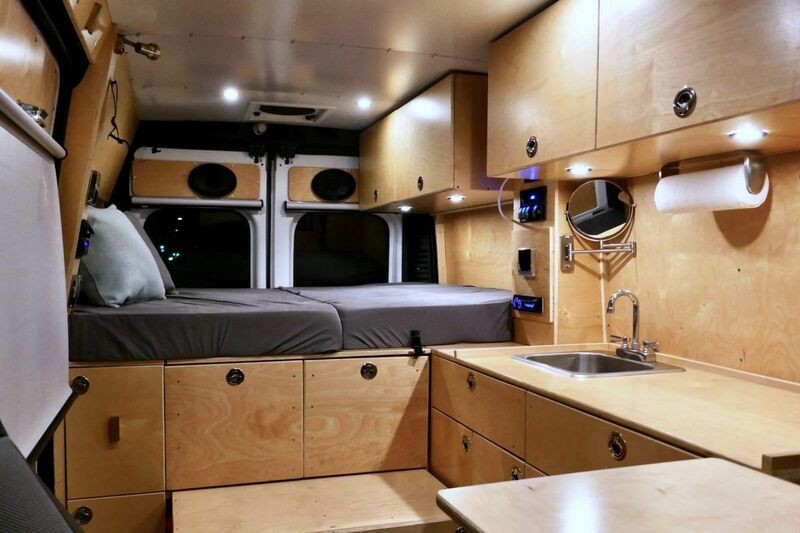 Custom conversion companies are rolling out gorgeous rigs, but some of them cost over $200,000 and rigs by industry heavyweights like Airstream and Winnebago both cost over $130,000. That’s out of reach for most campers and may seem downright ridiculous to some. Love campers, vans, and RVs? Compare notes with other adventurers in our private Facebook group. 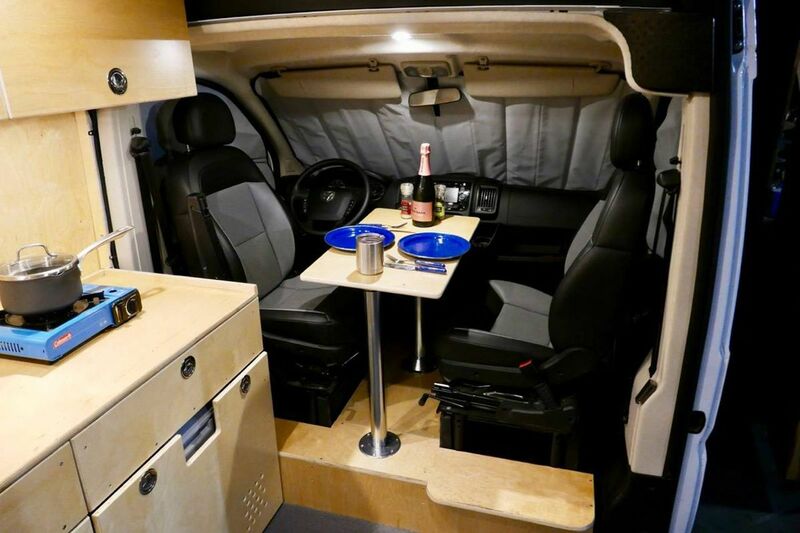 Fortunately, there’s a new class of camper companies looking to deliver the same van life experience but at a fraction of the cost. 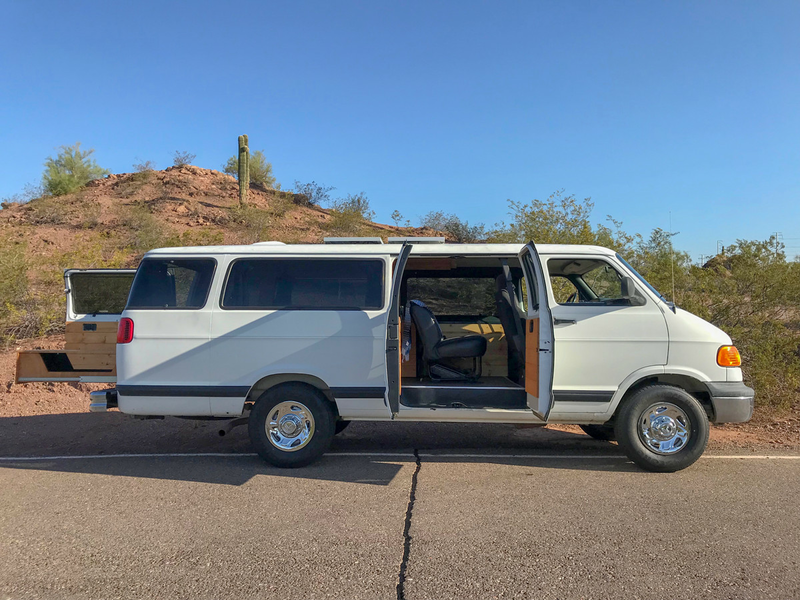 You’ll have to sacrifice a few things—like dreams of a 4x4 Mercedes Sprinter—but these five companies show that you can have a sweet camper van for under $60,000—van and conversion included. 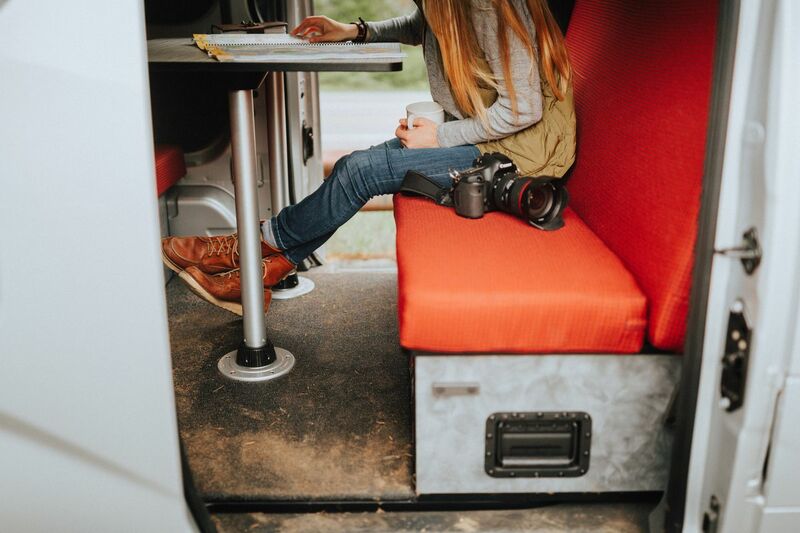 They differ in size, offerings, and finishes, but this is van life on a budget. Key Features: Okay, we know $60,000 may not seem affordable to most. 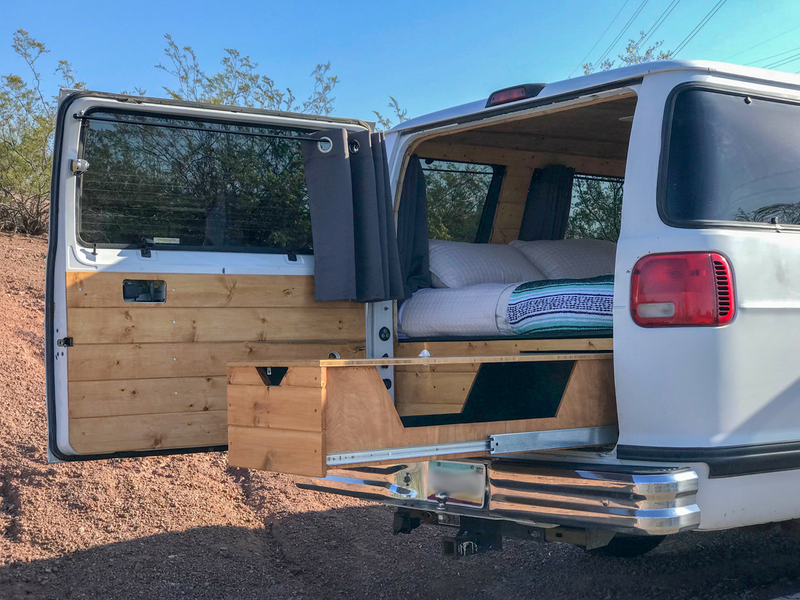 But Off Grid Adventure Vans is a new conversion van company that aims to produce a more environmentally sustainable, budget-conscious van, and these vans are much cheaper than most conversion van companies. 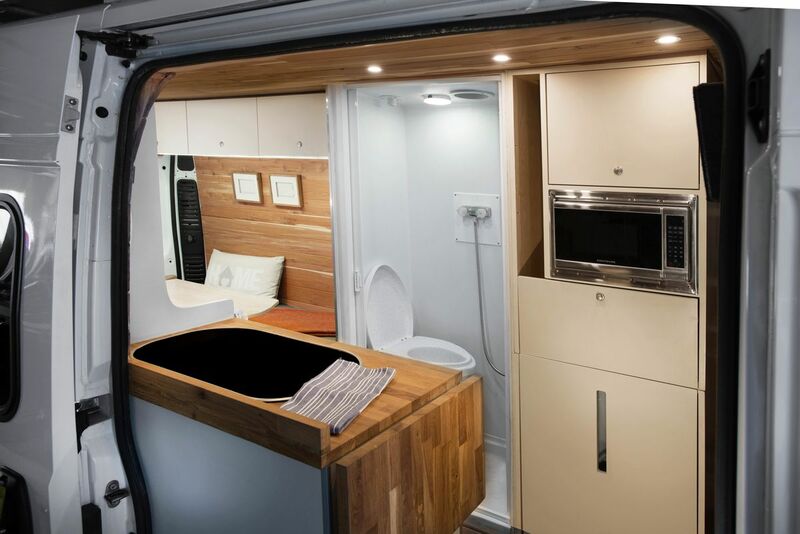 Each van comes with a Murphy-style full size bed, a spacious dining and living room area in the rear with bench seats and a removable table that can seat six, and a fully functioning bathroom with shower and optional toilet. Other amenities come standard, like loads of storage cabinets, hardwood floors, a roof vent, wood panel walls, and 200 watts of solar panel for power. Head over here for more. 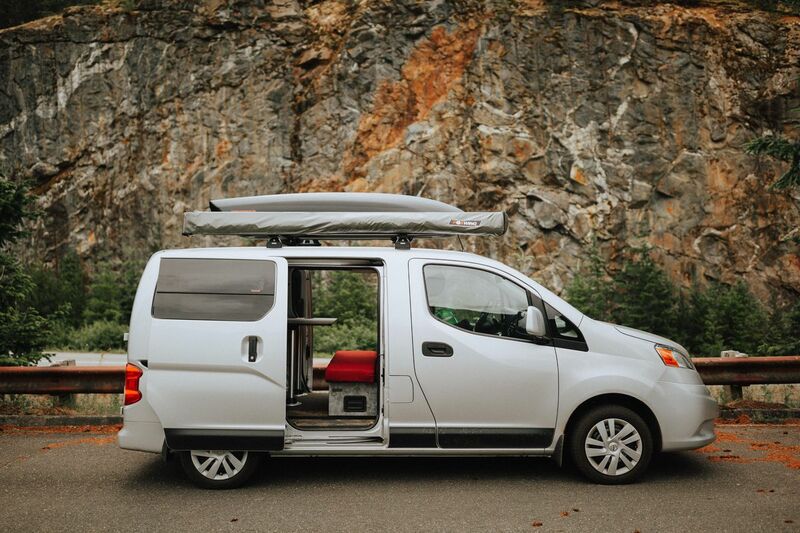 Key Features: Built on the Nissan NV200 cargo van, the Free Bird uses a convenient slide-rail system that makes switching from camper van to cargo hauler a cinch. The slide-and-glide system allows all of the components to be installed or removed in about two minutes. The main cabin is a series of boxes that hold everything you need to camp. 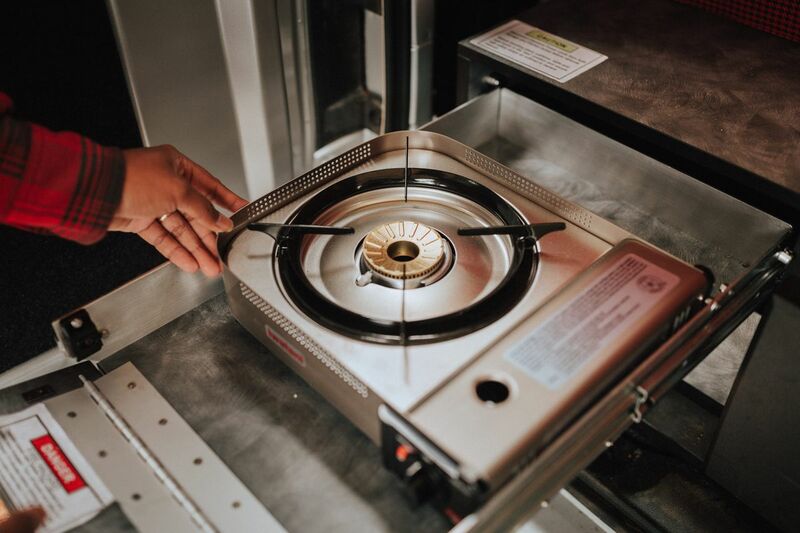 The kitchen is accessed from the rear in a slide-out kitchen box; it consists of a portable butane stove and two storage drawers. Another large storage box behind the front two seats houses a deep cycle auxiliary battery that powers the dimmable LED lighting, two USB power ports, and the 31-quart fridge. Head over here for more info. 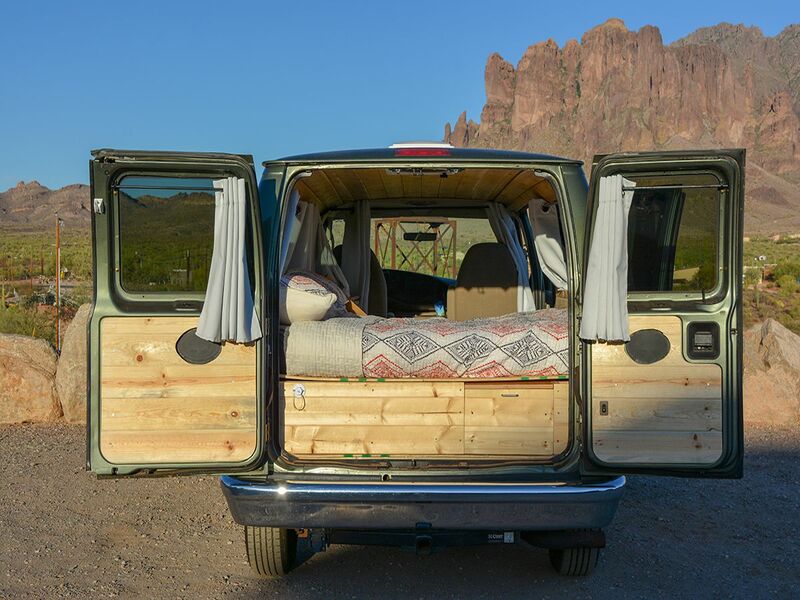 Key Features: Founded as a camper van rental company, Phoenix-based Boho Camper vans starts with one-ton commercial passenger vans and outfits them with a streamlined and downright Instagrammable look. Wood finishes on the ceiling, walls, and doors can be done in pine or cedar, and a small kitchenette features a bamboo countertop and sink. A full-size bed provides space to sleep two, LED interior lights dim for reading at night, and vinyl flooring is easy to sweep out and keep clean. Boho throws in linens, towels, cooking supplies, a propane grill, and a cooler and does all the legwork of finding a van to get started. Most often, this means a completely vetted van with fewer than 100,000 miles and one that’s newer than 2001, although customers can also choose to convert a brand new van (at higher prices). Find out more details, this way. Cost: The base Envy package—excluding the cost of the vehicle—starts at $28,500, while the Nissan NV200 van starts around $21,900. Depending on the features you choose, this means you can have a nicely built out camper for less than $60,000. Key Features: Recon Campers uses the Nissan NV200 commercial grade van to create campers that give you #VanLife at a fraction of the cost of many larger builds. Their Envy camper features seven feet of standing room thanks to a pop top that contains an 88 inch by 40 inch upper bed. Three upper screened windows allow for airflow or the pretty views all adventurers crave. 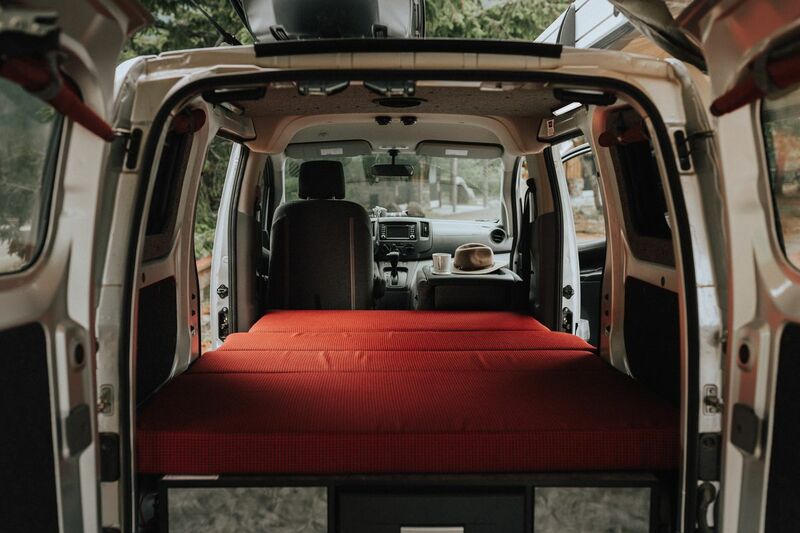 Down below, the Envy boasts a custom rear bench seat—made with breathable multi-density foam—that folds flat into a 42 inch by 72 inch lower bed, perfect for kiddos or two adults. A galley kitchen isn’t large but houses most of the basics, like a stainless steel fridge, sink, and pantry area with a bit of room for storage. Head over here to read more. 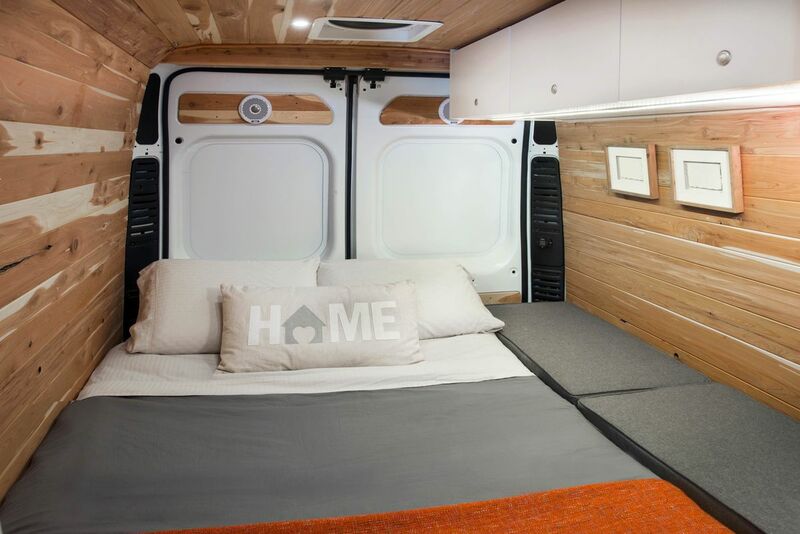 Cost: A basic package with a bed, the electrical system, insulation and walling, and lighting starts at $22,351, plus the cost of the Promaster van—which is around $32,000. 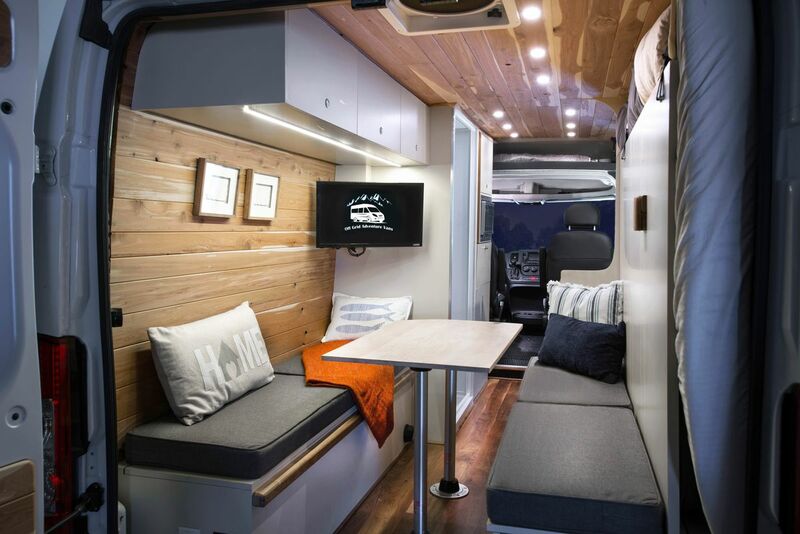 Key Features: San Francisco-based Glampervan wants to capitalize on this trend by building clients a “multi-use vehicle” that can take you on vacation, work as a mobile office, and still haul things like a truck. 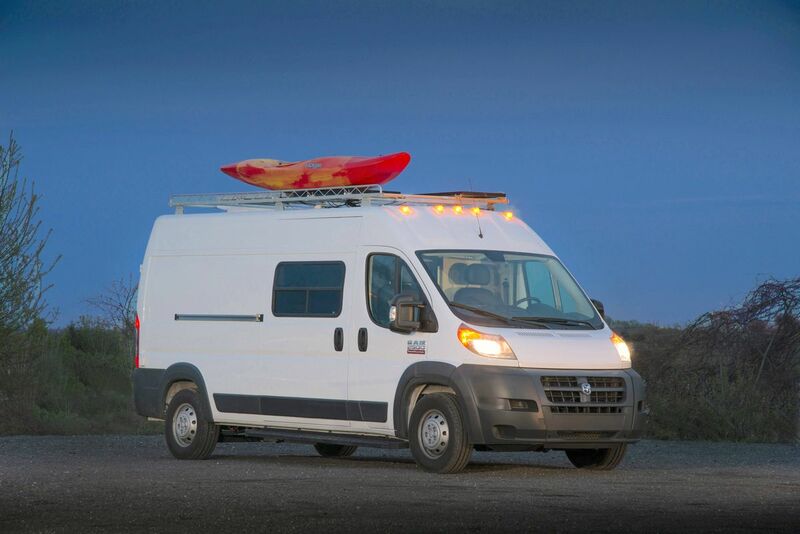 Using a 136-inch wheelbase high-roof Ram Promaster (the medium-sized model in the Ram lineup) Glampervan maximizes space with a build customized for two people. 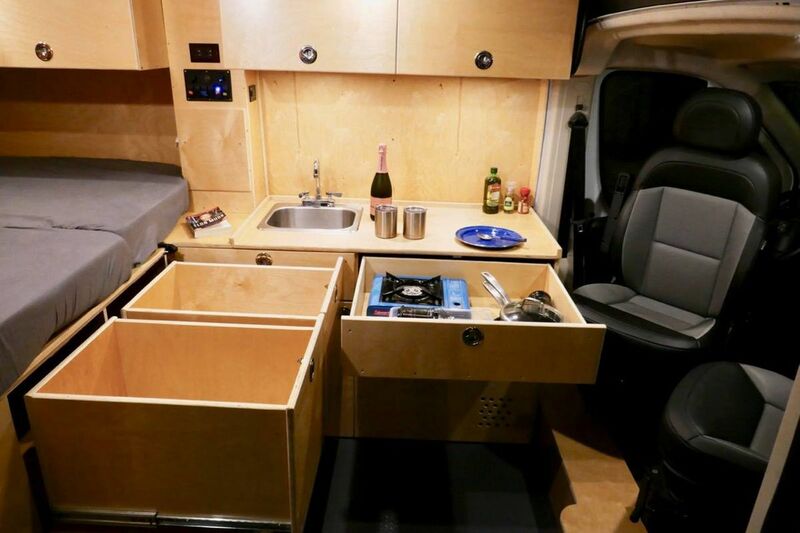 You enter the van in a galley kitchen loaded with cabinet and storage space. In the back, a Murphy bed sits on the passenger wall and allows space to haul gear or supplies whenever you’re not resting. When in the sleeping position, the bed is just shy of a queen size, and overhead cabinets provide more storage. Read more, this way. Retro-inspired camper trailer is coming to the U.S. The Barefoot Caravan will be manufactured in North America by NüCamp RV. The city dweller’s guide to gardening To help city or apartment dwellers with little to no outdoor space, we’ve compiled the best products for gardening in small spaces. The future is coming—at 11 miles per hour Autonomous shuttle companies want to fill the first-mile, last-mile gaps in public transportation. New national park guides make RV camping easy RV rental company Outdoorsy just launched RV guides to national and state parks. This Article has a component height of 94. The sidebar size is long. 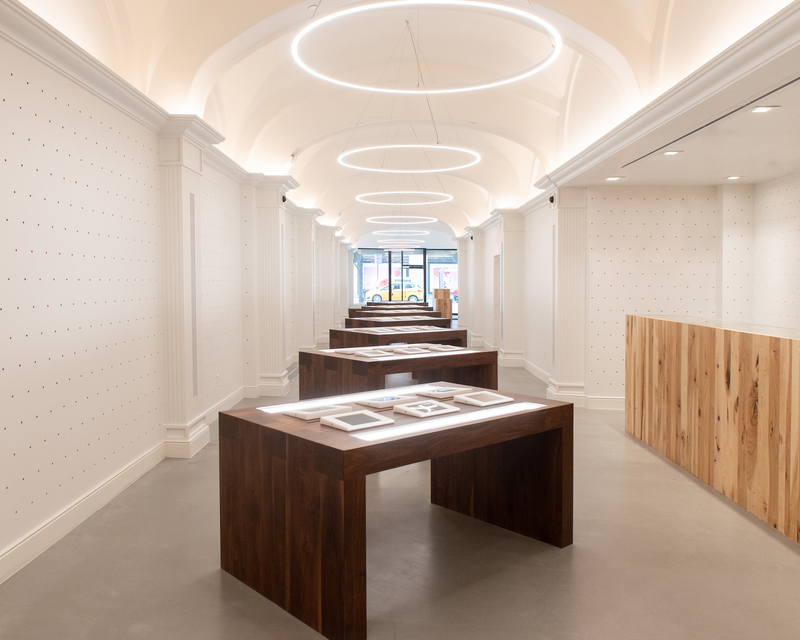 Gone are blacked-out windows and the faint smell of pachouli at your local head shop, the next generation of dispensaries are well-lit, airy, and spacious. 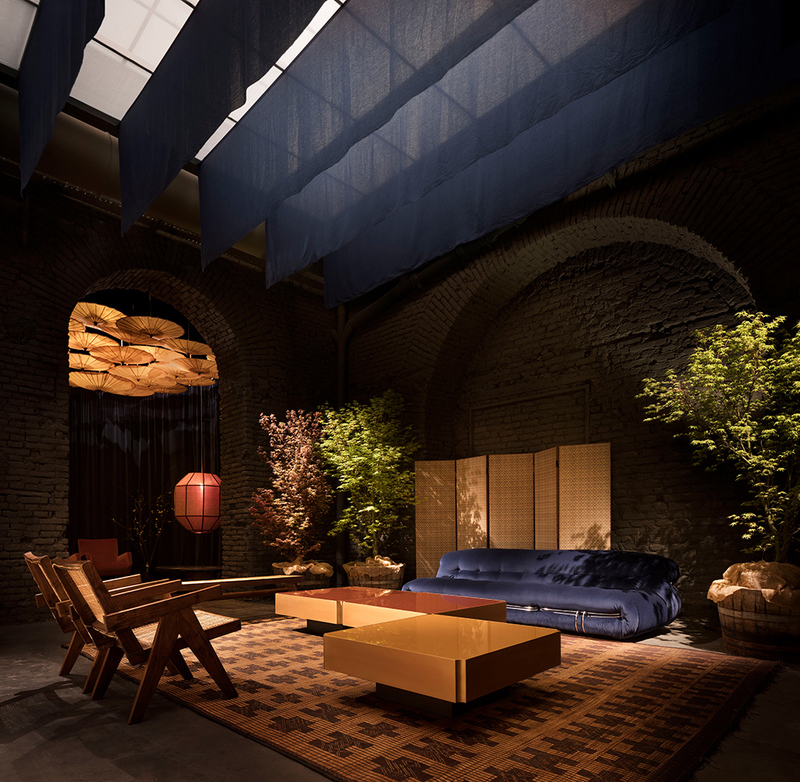 The founders of Milan’s gorgeous Six Gallery space just created a shoppable hotel in the same 16th-century monastery. Save on outdoor furniture, Scandinavian design, small appliances, and more. The Barefoot Caravan will be manufactured in North America by NüCamp RV. 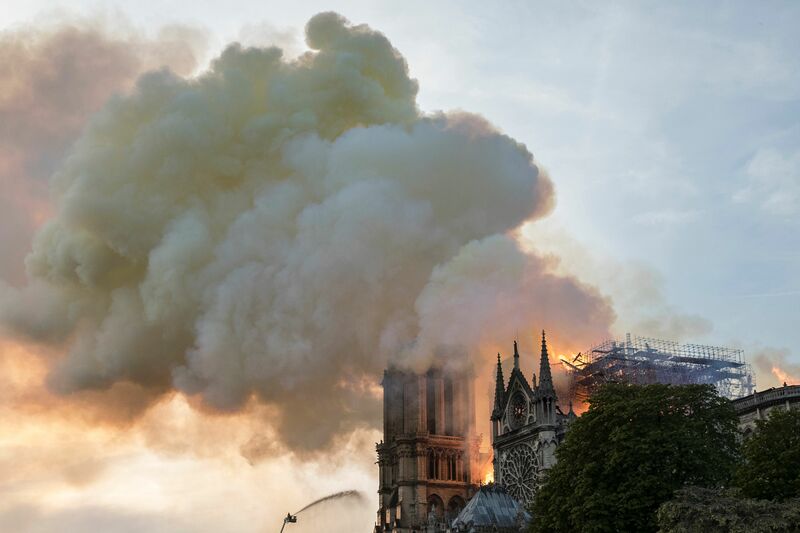 Investigators are closer to discovering the cause of the devastating fire that damaged Paris’s Notre Dame Cathedral this week. Constructed in 1903, this Victorian boasts a wraparound deck, dreamy turret, and intricate wood features.